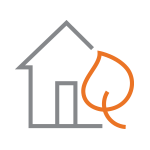 About Spire Natural Gas Utilities | Spire Inc.
We see no limit to what our energy can do for you. We’re dedicated to understanding our customers’ needs and goals to better serve them today and tomorrow. Spire’s natural gas utilities and natural gas-related businesses work together to enrich the lives of the 1.7 million customers we serve across Missouri, Mississippi and Alabama. Our gas marketing business maintains the balance between our natural gas supplies and our customers’ needs, ensuring the highest reliability at the lowest costs. And we’re investing in infrastructure to strengthen the regions we serve for a better, more resilient tomorrow. Answer every challenge, advance every community and enrich every life through the strength of our energy. Our 3,300 enthusiastic employees show up each day to make a difference in the world. In the last five years, we’ve quadrupled our enterprise value - now at $5B. Because we deliver on our promises, we’ve paid out dividends for 72 consecutive years. We have deep ties to our communities, because we live and work with the people we serve. Because when we put our communities above everything else, we know that when we advance, they advance.